Connecticut Convention Center - Revolution Lighting Technologies, Inc. 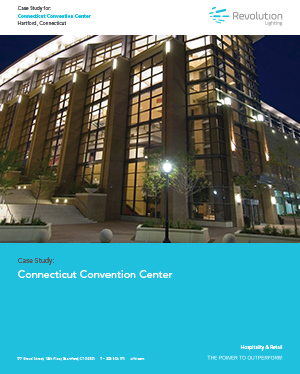 The Connecticut Convention Center partners with Revolution Lighting Technologies to install LED Lighting solutions, reducing operating expenses for its event facilities. Efficiency for the retrofit areas was improved by 70%. Our convenient and durable direct wire solutions deliver superior light output for event and arena spaces.